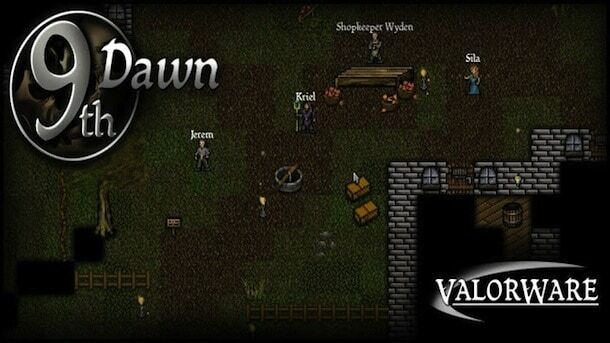 The indie developer Valorware has announced the launch of a brand new MMORPG called 9th Dawn. This is a title for the iOS (iPhone, iPad, and iPod touch) that is said to feature the largest open world that any mobile role playing game has to offer. 9th Dawn integrates a classic top-down look with modern mobile touch screen controls. Players will take on one of three well known classes (Archer, Knight, and Mage), while encountering dangerous dungeons and vicious enemies. In fact, there are over 100 unique enemies you?ll come across in 9th Dawn. There are tons of mysteries and plenty of adventures on the Island continent of Montelorne.The encounters seem endless in such a massive world. Whether it exploring dark forests or crumbling castles, 9th Dawn should give many MMO gamers the experience they?re looking for. The game can be found in that famous virtual apple location known as the app store.